Get expert Christmas cookie exchange tips! A Christmas cookie exchange party offers a fun way to celebrate the holiday season while sharing your favorite treats and recipes. To help you plan your own holiday cookie swap, LoveToKnow Party spoke with Nancy Siler, Vice President of Consumer Affairs and Public Relations at Wilton, publisher of the Wilton Cookie Exchange book. LoveToKnow (LTK): Nancy, could you briefly explain the basics of a Christmas cookie exchange party for readers who may not be familiar with the idea? Nancy Siler (NS): A cookie exchange party is a great event that not only brings friends and family together to share delicious recipes and cookies, but also provides an opportunity to share precious time together during the start of the holiday season. At a cookie exchange, guests are asked to share their favorite recipe and baked goodies during a cookie swap. Guests go home with a variety of holiday cookies to enjoy or share with loved ones. LTK: Is there an ideal size for a Christmas cookie exchange party? NS: As with any party, the size of the festivity is better decided by the host. Some people might prefer a more intimate party and choose only to invite a few select, close friends and family members. Others live by the rule "the more, the merrier" and opt for inviting additional guests. The host has a better gauge as to what she feels will be manageable for her to be able to accommodate all her guests. Six to fifteen guests is optimal. Organizing thirty different types of cookies and having guests make thirty dozen is unreasonable. LTK: How should hosts word the invitations to make sure guests understand the nature of the party and what is expected of them? LTK: Does a cookie exchange party have to include exclusively cookies, or could guests bring other baked treats? NS: Cookie exchanges can certainly include other baked treats like bars and biscottis. However, this is the host's decision and should be communicated to the guests. The host should inform guests which treats are acceptable to prevent any disappointment. For example, are bakery treats allowed or only homemade treats? Should the baked goods be holiday-inspired, or are classics like chocolate chip or oatmeal welcome? LTK: Are there any guidelines guests should consider in deciding what to bring to the party? NS: Yes, remember that others will be taking your cookies home, so one thing to keep in mind is safe transport to the party. Guests might want to consider pre-packaging, as it ensures that cookies retain their shape and taste. Guests can use their imaginations to create festive packages using colored plastic wrap or parchment, ribbon or dimensional stickers. Wilton offers a great selection of winter white boxes that are ready to be personalized. Bake cookies two days before the exchange. Always cool before packing to prevent sticking. Line cardboard containers with foil or plastic wrap to keep cookies fresh. Place sheets of parchment between layers of cookies, especially those which are iced or decorated with royal icing (remember that cookies iced with buttercream do not stack well). Pack delicate and decorated cookies in shallow containers; the fewer layers, the better. Wrap cookies singly or in pairs, and group wrapped cookies in a pretty box, bag or basket. LTK: Which supplies does a host need, and which preparations should he or she make to be sure the cookie exchange runs smoothly? 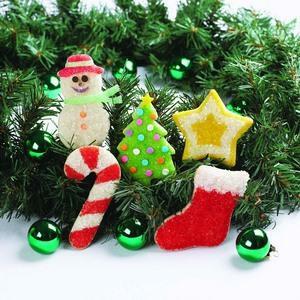 In addition, if you'll be having a decorating station, provide guests with plain cookies, sprinkles, icing, gels, bags and tips for them to be creative and decorate. LTK: Do you have any suggestions for the actual exchange? Is it a very cut-and-dried transaction, or are there ways to have fun with it? NS: The cookie exchange party should be fun for everyone in attendance. Hosts can encourage guests to talk about their cookies before they swap. Topics can include where the recipe originated, a helpful preparation tip or a favorite memory. Hosts can also make the celebration more fun with a friendly competition. Announce that awards will be given, with cookies judged on appearance, creativity and taste. To capture all the excitement, the host can take pictures to later share with guests as a keepsake to remind everyone of the wonderful time they shared at the cookie exchange party. I've even heard about an exchange where you just bring your dough and bake all of the cookies at the party. The upside is more time with family and friends. The downside . . . more time spent baking the cookies. LTK: Cookies will always be at least a little bit "bad for you", but are there any ways to make room for allergies, diets and other special dietary needs at this type of party? NS: Yes, with a bit more preparation you can accommodate your guests. If you will be inviting a guest with special dietary constraints, remember to get specific details from that guest. You can do some research and share any substitutes you might have found with your other invitees, and ask if they are willing to be accommodating. Make sure all guests know about the constraints. For those watching their calories, remember to only eat one or two cookies at a time. Share with family members. Some cookies freeze well, while others should be stored in a sealed container along with like cookies. That is, hard with hard and soft with soft or all of the same kind in a single container. This extends the "cookie eating period" over a longer time frame. LTK: Is there any other advice you would like to share with those planning or attending a cookie exchange party? NS: For the host, communication is the key. Make sure that one week before the party you reconnect with your invited guests to double-check that they are planning on attending. If the number of expected guests changes, you will need to adjust the cookie count and inform your guests. For both host and guests, remember to be grateful for this opportunity to share great recipes and lasting memories among friends and family. Above all, have fun and enjoy not only the delicious treats, but each other's company as well. Planning this kind of party does take some work, but it really pays off in fun and, of course, cookies! 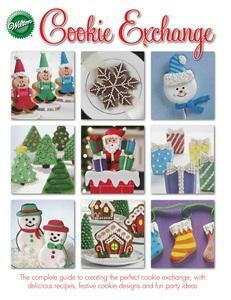 If you think you'd like to give it a try, The Wilton Cookie Exchange Book is available directly from Wilton, as well as Amazon and some local bookstores.